Chromebooks are different than traditional laptops in several different ways. They are built to run on web based applications rather than PC based applications. This means that programs like Microsoft Office of Photoshop cannot be loaded onto the Chromebook. The Chromebooks are designed to be internet based. They do not have a lot of storage capacity because information should be stored on the cloud. This saves space on the Chromebook keeping then light and compact. There are Google apps that allow you to create and edit documents and spreadsheets. The operating system is built to coordinate with cloud storage to meet your computing needs. They could offers safe, password protected storage that can be accessed anywhere there is an internet connection. 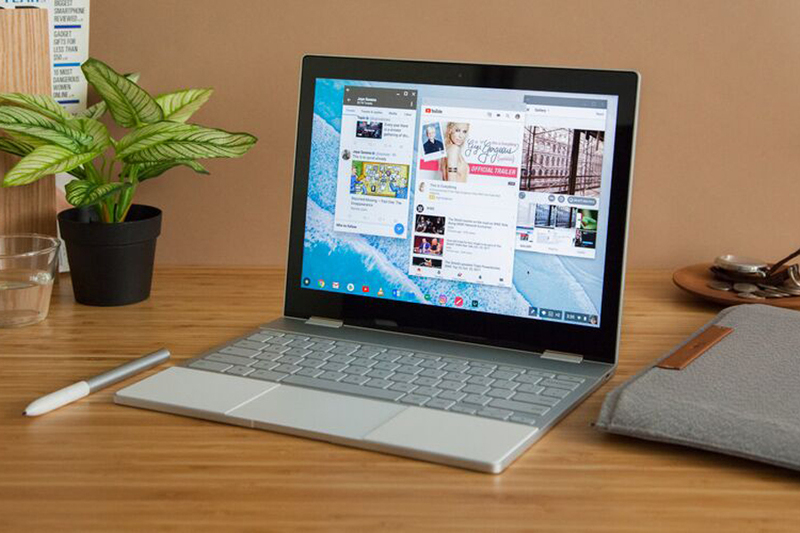 If you are looking for an internet based notebook, with the capacity of a laptop, but the convenience of a tablet, then the Chromebook is your answer. We have selected top brands with the features provided for a fast and efficient internet experience. 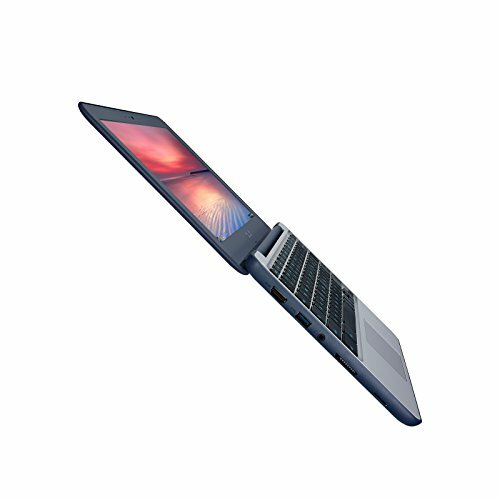 The ASUS-Chromebook-11-6-Inch-Ruggedized and Water Resistant Design with 180 Degree comes with an Intel Celeron N3060 2.48GHz processor, 4GB RAM and a 16GB Solid State hard drive. The 11.6 inch anti-glare screen with Intel graphics makes viewing easier on the eyes even with bright sunlight. The Acer Chromebook comes with a Lithium battery that has around 10 hours of battery life. The Acer-Chromebook weighs only 2.2 pounds and includes the Google Chrome Operating system. The dual band Wi-Fi allows you to surf the web from anywhere there is a connection. This provides a high speed connection from almost anywhere. The ASUS-Chromebook has two built in speakers and a built in HD Webcam. This is perfect for listening to music or video chatting. The full size keyboard provides easy operation and computing from anywhere. The ASUS-Chromebook boots in 7 seconds and stays virus free with the built in virus protection. This third generation Chromebook is 30% thinner and will fit easily in a purse or bag for complete trans portability. The HP-Chromebook-14 comes with an Intel Celeron N3060 1.6GHz processor, 2GB Cache. The 11.6 inch screen it provides a large viewing surface and includes Intel HD graphics for clear and vibrant web page viewing. It comes with the Chrome operating system which loads webpages quickly and allows you to have multiple pages up without sacrificing speed. 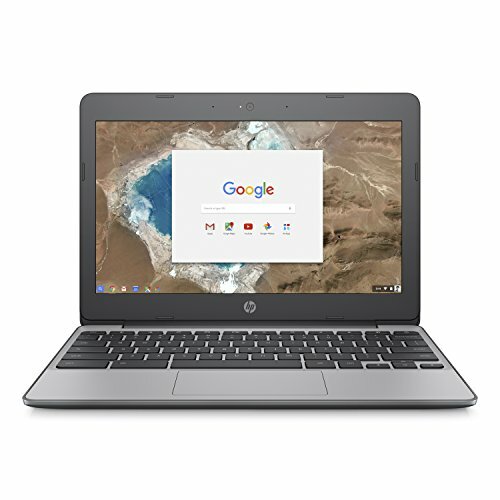 The HP Chromebook has auto synch for your data which provides automatic backups and storage for all your applications and securely stores your information. With 100GB of Google Drive Storage you will have access to all your data regardless of where you are located, and what device you are using. The HP Chrome book comes with a built in web cam that provides clear images even in low light. Begin to work and play instantly with all your favorite Google apps built right in. These include YouTube, Gmail and the latest games and productivity apps. The Samsung Chromebook-11-6-Inch display is built for the on the go person. The Chromebook starts in seconds and had built in virus protection. 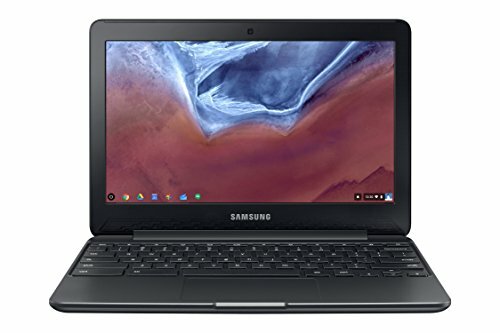 This Chromebook has a 2GB RAM for operating multiple apps at the same time and a 16GB Solid State Drive, provides lots of storage space for downloads and offline computing needs. It has 1.6 GHz Intel Celeron Processor. Also included are 2 USB ports: 1 USB 3.0 and 1 USB 2.0 and a HDMI port. The Samsung Chromebook offers Wi-Fi to meet your online needs. The Samsung Chromebook only weighs 2.4 pounds and has a compact design making it easy to carry with you anywhere you go. The Samsung Chromebook comes with a Lithium battery for extended use without being plugged in and lasts up to 11 hours. It comes with the most popular google products like YouTube, Gmail and Hangouts. Whether you want to work or play the Samsung Chromebook will get the job done. The Chromebook is built for web browsing and runs off Google Chrome. Switching accounts is easy and files are automatically backed up on the Cloud. The unit is built to stay cool and runs silently. It also comes with 100GB of free Google Drive Storage for 2 years and has a built in web cam for video chatting.